Our new Cannabis-Infused Spa Rituals are crafted to enhance the therapeutic benefits of massage and feature new products by Omcali Sacred Skincare. Herb infused massage oils are blended with Cannabinoids (CBD) to help relieve pain, inflammation and tension. CBD is one of over 60 compounds found in the cannabis plant and is widely known for its ability to effectively assist the body in pain management and calming anxiety. A deep massage flow with extra love for the neck and shoulders, this treatment kneads away pain, melting muscle tension, aches, or soreness. Your treatment includes dry brushing, hot towels and a full body massage with CBD oil infused with organic herbs of arnica, turmeric, and bay laurel. Exhale worry and inhale bliss. This treatment is a perfect remedy for deep sleep, centering, and balance featuring long strokes with special attention on the hands and feet. Your treatment includes a scalp massage, hot towels, and a full body massage with CBD oil infused with organic herbs of lavender, mugwort, and valerian. 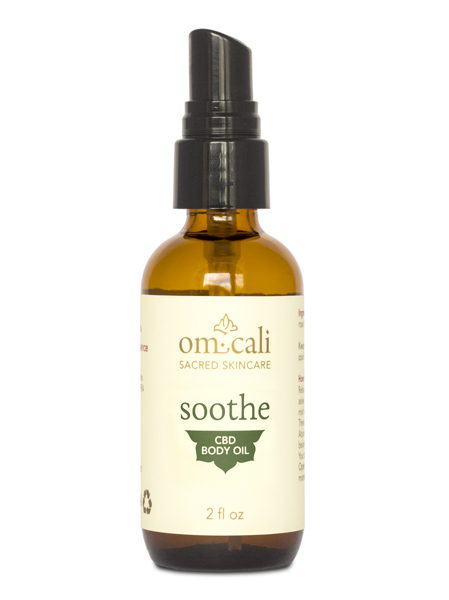 Add Omcali Soothe or Calm CBD Body Oil to any massage.